This event is free for female WSU Real Estate students, but seating is limited and reservations are required. I consent to my submitted data being collected and stored so that you can contact me with further details about this event when necessary. 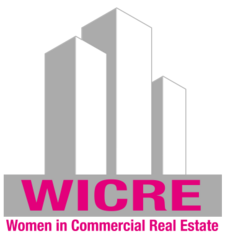 Women in Commercial Real Estate (WICRE) is an organization dedicated to providing networking venues for women in all aspects of commercial real estate. Its purpose is to educate, promote, mentor, and support the professional and personal advancement of its members.